Gaia fresh milk coffee vending machines use fresh milk combined with bean to cup coffee making. It is the perfect machine for the corporate setting. 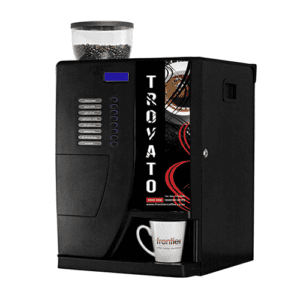 With a 5 l fridge attached to keep the milk cool, and a bean canister, the coffee machine can make espresso, white coffee, black coffee, cappuccino and cafe latte at the press of a button. As it also has canisters for sugar and hot chocolate, the range of drinks is greatly expanded. 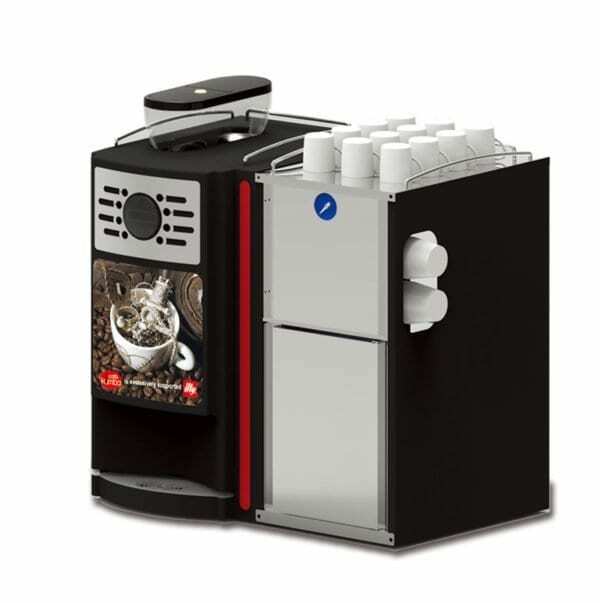 As all ingredients are locked in the machine, you can have great coffee with fresh milk without worrying about misuse. 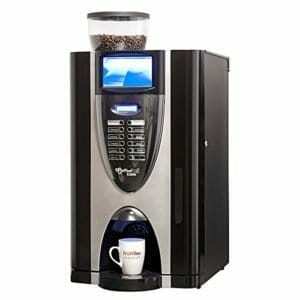 The perfect office coffee machine for the slightly larger office application where quality drinks are important.